People often imagine that the life of any great athlete must be a joy to live but the truth is probably, that it is not. Sure, there are moments of ecstasy when all the athlete’s efforts come to fruition but this belies the agony and heartache of the long journey that precedes. 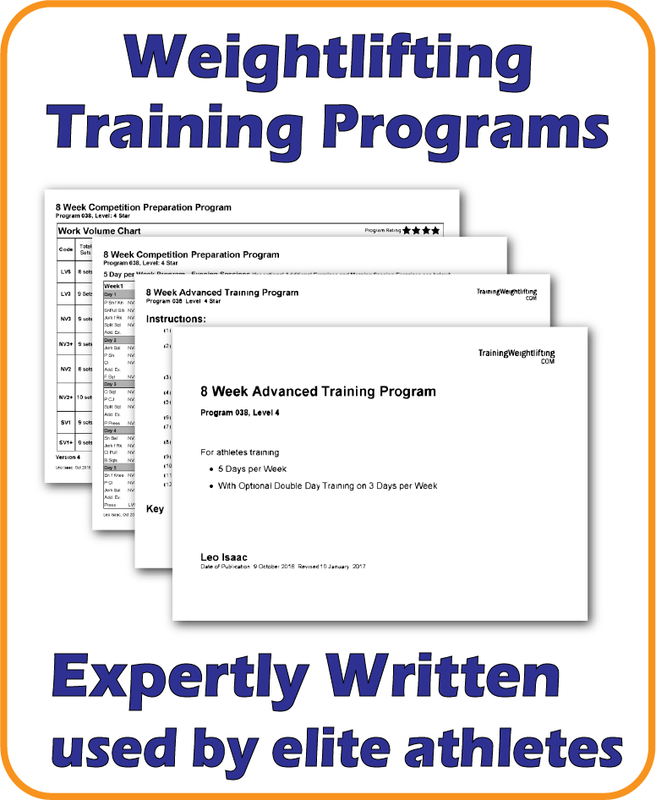 For the athlete in Weightlifting, the final 2 weeks before a major competition is a difficult period in which athletes often have a tendency to conjure up all manner of self-imposed roadblocks, issues and limitations. The anxiety produced by the impending competition sets off questioning thoughts about the need for more technical and strength work, and to continue training hard to the last moment. It’s a kind of investment protection issue. 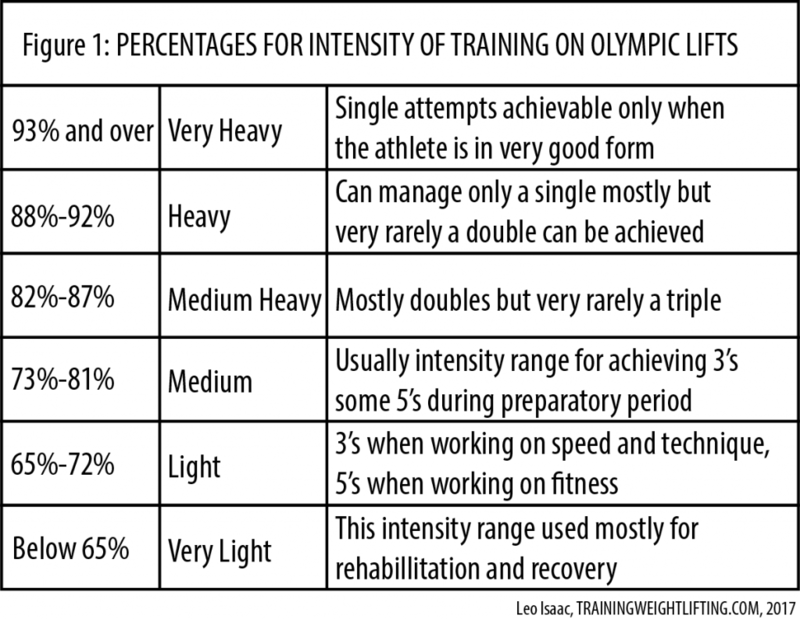 The athlete may conclude that they just need to invest more energy and effort in training so as to protect what they have already invested so far. Surprisingly, the timing of the last maximal session before competition day seems to vary considerably as a result of different belief systems of coaches and athletes. The variance will likely be between 7-21 days before a major competition. Why such a difference in beliefs should exist is a question worth asking but is not the subject matter of this article. Instead, this article attempts to address the anxiety issue that many athletes suffer. It’s 4:00am, the day after an important local event and my mind is too active to sleep. I arrived home yesterday after a 14 hour day of coaching and organising the State Championships in the sport in which I have devoted nearly half a century of life – Weightlifting. Sitting by the home fireplace, I began at last to read and digest the many messages received from competitors, some excited by their performance and some desperately upset. Some messages are easy to answer, some will have to wait as the needed communication is challenging and requires careful consideration. This is the usual situation. The main purpose of this presentation was really to get people thinking about strategies that would make a real and significant difference to the High Performance program and improve Australia’s competitiveness on the international platform. A secondary purpose was to get participants to identify and discuss the “elephants in the room”, those barriers that we know are there but find it very difficult to talk about. This article proposes the development and implementation of a club development program across the nation. The proposal looks at what the national body can do to promote club development and how a framework for club development can be implemented with little cost. The objective of this framework is to signpost important steps that clubs can take to develop increasing capability and be rewarded for the effort. The task for the athlete and the coach is to work together to continually improve the training process of the athlete over many years. It is highly probable that when this continuous improvement process comes to a halt, the athlete will no longer improve. 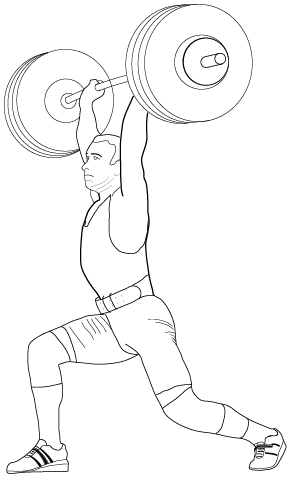 It has long been my view that the critical factor for developing a confident and reliably successful Jerk is that the athlete must attempt to mimic the conditions of a maximal Jerk all the way through their warm up to the moment when a maximal Jerk is actually achieved. This requires the athlete to have conceptual knowledge of what actually happens during a maximal jerk, and how a maximal jerk can be achieved if it is to be achieved at all. This article attempts to address one of the most serious errors that athletes frequently make in their training – a failure in regard to rehabilitation and recovery of Weightlifting injuries that result from overloading.